Who are you? So, now the theme song from the long-running CSI series is playing in my head. You have been sending out your wishes to the Universe, and, lo and behold, they are starting to come back to you. 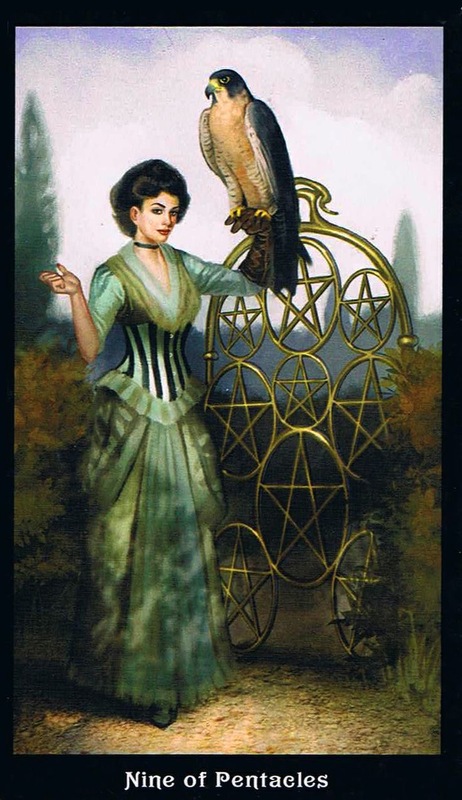 The 9 of Pentacles is a card of identity, meaning your ability to be independent and stand on your own two feet. Very often, when we enter into new relationships/situations, we tend to lose that sense of self, and life begins to conform to another person’s way of being. You are so close to that next phase where you are able to assume this new identity toward which you have been working. Self-esteem and confidence are on the rise, as well as your sense of self and purpose. Know that soon this new you will be on your way to the biggest transition of your life. This entry was posted in Card of the Day, General Tarot, Love and Finance, Patreon, Readings, YouTube Videos and tagged 9 of Pentacles, Card of the Day, Guidance, Path, Reading, Tarot.